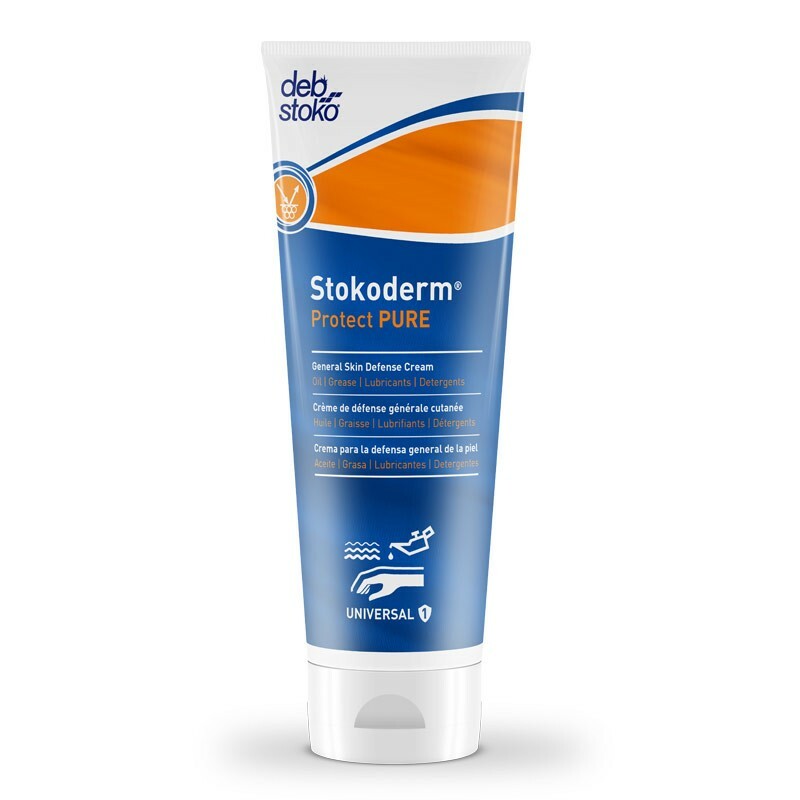 Stokoderm Protect Pure is a universal pre-work skin cream to help protect the skin against contact with water and non-water based contaminants. General skin protection cream for oil, grease, lubricants and detergents. Perfume-free and non-greasy, it is compatible for use under latex and nitrile gloves to provide a second line of defence. Makes skin easier to clean. 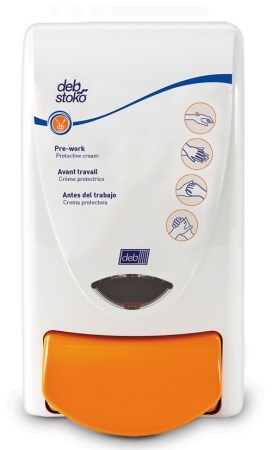 Use before each work period or re-apply after washing hands. 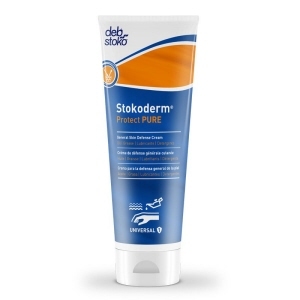 Deb Stoko Stokoderm Protect Pure is available in 1 litre and 150ml. Apply one dose to back of hands first. Rub hands back to back and then palm to palm interlocking fingers and including around the finger nails. Ensure hands are clean before applying. - Proven to provide protection against aqueous solutions, oils and solvents. - Quickly absorbs into the skin and leaves a non-greasy after feel. - A highly effective film forming agent to repel contaminating substances. - Fills in skin pores and helps to prevent ingression by oil-based substances. - Dry feel emollient helps prevent hands feeling greasy after use to retain dexterity with hand held tools. - A highly effective humectant moisturises the skin and helps prevent dryness. 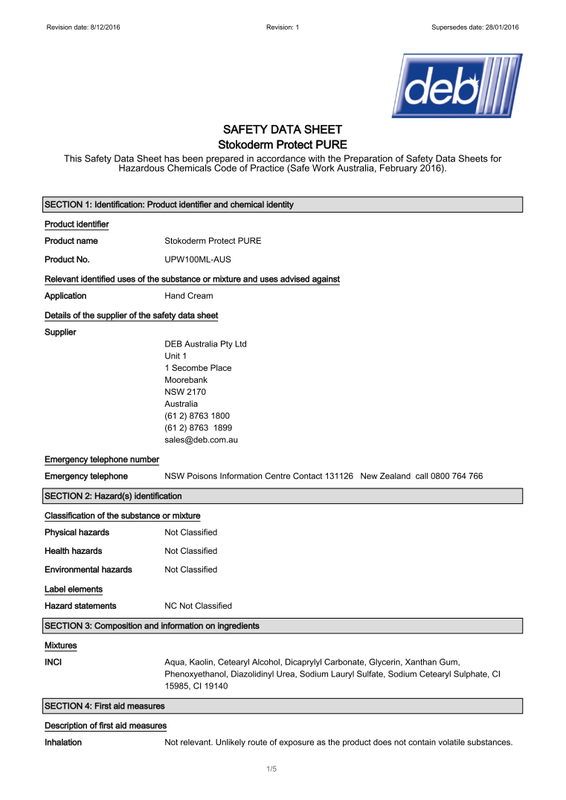 - Suitable for use by maintenance and production workers in food manufactur-ing/processing environments where high levels of skin soiling or exposure to more extreme wet or dry working conditions are encountered. 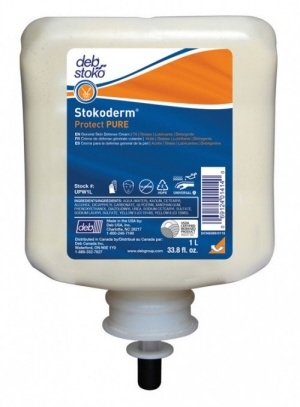 - Suitable for use under natural rubber (latex) and nitrile gloves to help provide a second line of defence. - Suitable for use in paint and bodyshop areas, where surface coatings are being applied. 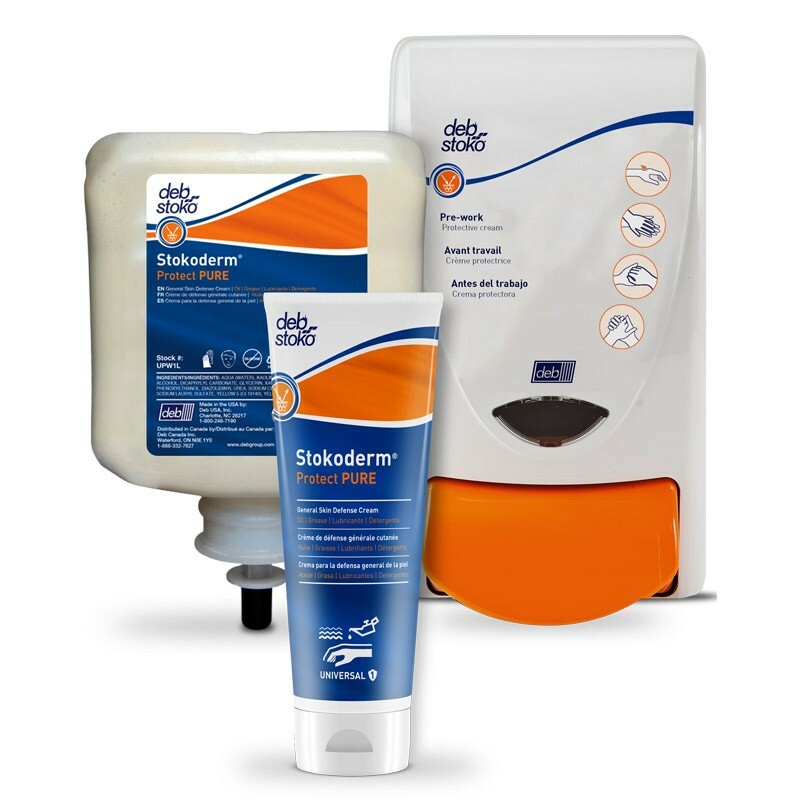 - Ensures compatibility with the skin and reduces the risk of any possible irritation.